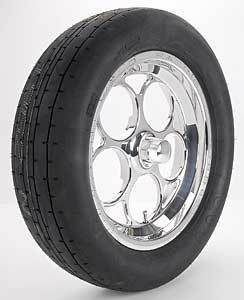 Goodyear Eagle Front Runner Tire 24" x 5" - 15"
Moroso 17040 - DS-2 Front Drag Tire 24.0" x 5.0" - 15"
Phoenix Drag Tires PH435 - Front Drag Tire 24.0" x 5.0" - 15"
D1962 is rated 5.0 out of 5 by 1. Rated 5 out of 5 by Marnaduke from Good high speed tires ! Preparing for Bonneville Salt flats. These are good for over 200 mph in the heat. Skinny tires are good on the salt ! All position.